The security breaches involving those charged with protecting President Trump are beyond negligence. How does a Secret Service agent leave a laptop with classified information on it in her unlocked car in her driveway all night long? 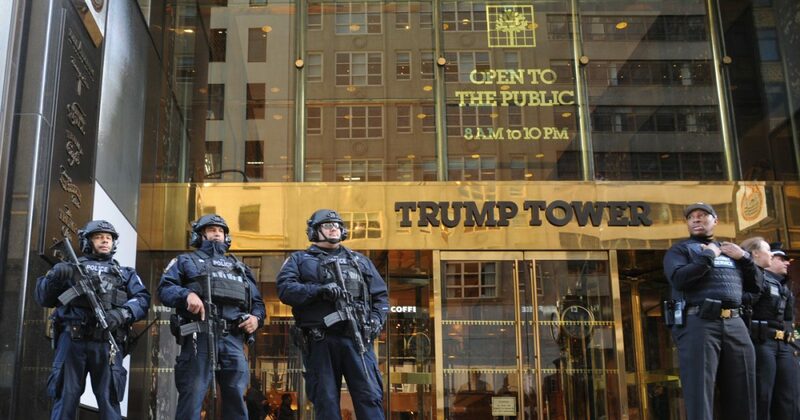 Authorities are frantically searching for a Secret Service-issued laptop — containing floor plans for Trump Tower, information about the Hillary Clinton email investigation and other national security information — that was stolen from an agent’s car in Brooklyn, police sources told the Daily News Friday. The computer was lifted Thursday morning and officials are trying to determine if Agent Marie Argentieri was targeted or if the robbery was random. NYPD cops are assisting in the investigation, sources said. Sources and neighbors said the thief stepped out of a dark-colored sedan, possibly an Uber, and darted into Argentieri’s Bath Beach driveway about 3 a.m. He grabbed the computer, a backpack, and other goods and walked away, sources said. The crook, dressed in black, didn’t get back in the car he arrived in. He was seen on surveillance video strolling away from the brick home wearing a backpack and holding a laptop, sources said. Neighbor Mike Mignuolo, 73, believes, based on the video police showed him, that the suspect moved quickly and with a purpose. Other items stolen include “sensitive” documents, an access keycard, coins, a black zippered bag with the Secret Service insignia on it and lapel pins from various assignments — including ones involving President Trump, the Clinton campaign, the United Nations General Assembly and the Pope’s visit to New York, sources said. An agency-issued radio was also taken, according to Politico.